St. Joseph Campus is celebrating its 10 year anniversary this month! 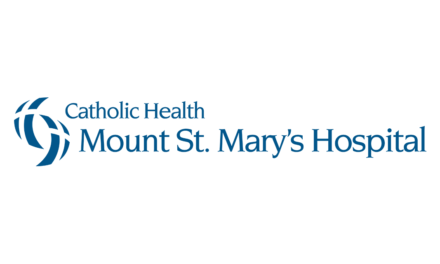 President and CEO of Sisters of Charity Hospital, Martin Boryszak, has taken this opportunity to reflect on the incredible legacy of St. Joseph Hospital and how its merger strengthened Sisters of Charity Hospital’s ability to provide healthcare services to our community. 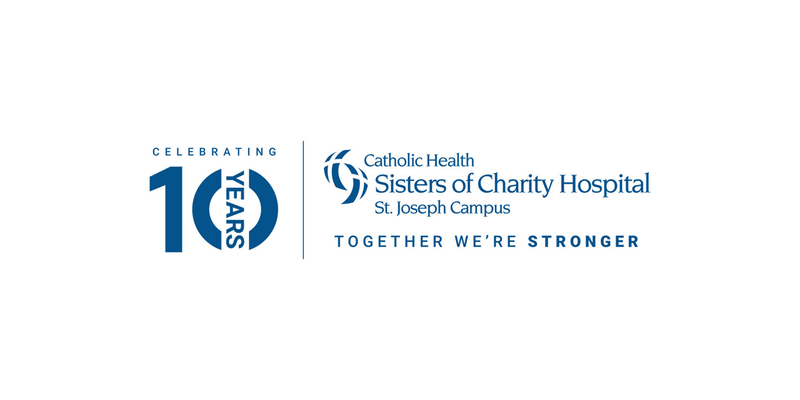 On April 1, 2009, two highly respected hospitals, both treasured by their communities, came together when St. Joseph Hospital officially joined Sisters Hospital. As I reflect on the last ten years, I am proud at the progress we have made together as one unified entity. At the time of transition our tagline was “Together We Are Stronger,” and over the course of 10 years we have proven this to absolutely be the case. While some of you were here for the transition, we have many new associates and physicians that were not, so I thought I’d take a moment and provide a brief history on how this merger came to be. The Commission on Health Care Facilities, also known as the Berger Commission, delivered a report on November 28, 2006 entitled, “A Plan to Stabilize and Strengthen New York’s Health Care System.” In it, the recommendation was to close 57 healthcare facilities in New York State, including St. Joseph’s Hospital. Closure was to be carried out by the New York State Department of Health by the end of 2009. However, Catholic Health felt strongly about the value of St. Joseph Hospital to our patients, associates and community and fought diligently to keep St. Joe’s open. The campaign was a success and the decision was later overturned when NYS agreed to keep the hospital open as part of Sisters Hospital. The merger would bring about many challenges and changes as we brought together our two institutions. That said, we recognized the importance of maintaining the culture, identity and legacy of St. Joseph Hospital. The Franciscan Sisters of St. Joseph stayed in residence until their retirement in 2015 and were a vital part of the campus until their very last day. The annual collection of Thanksgiving Baskets has continuously grown and become a favorite tradition at both campuses. The LOVE (Living Our Values Effectively) Award had its origins at St. Joseph Hospital and was adopted by Catholic Health and is celebrated quarterly at all ministries. This anniversary has a personal connection to me as well. 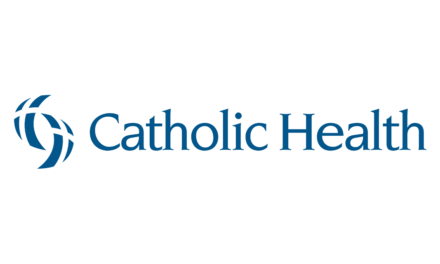 My first day at Catholic Health as Finance Director over both campuses was just a few days before the merger. 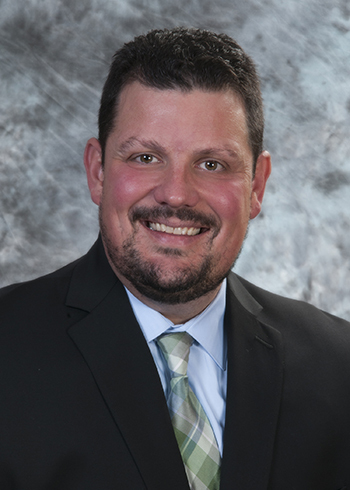 As I became more acclimated to operations, I saw a great deal of potential at SJC and pursued the Vice President of Operations position, which I assumed in 2012. One of our first initiatives was to kick-off the “SJC Progression Committee” with some of the best leaders and advocates for SJC I have had the opportunity to work with. We immediately mobilized and focused our efforts around improving the aesthetic appearance and “first impressions” of our hospital. We renovated the Community Room, the Lobby, the signage, and painted all common areas throughout the building to make sure our hospital reflected the work and care that was provided at SJC. Over these past 10 years, I’ve watched this campus evolve and thrive in new areas including a state of the art GI Unit that developed into one of the busiest units at Catholic Health, three brand new operating rooms, including a brand new waiting area for our patients and visitors, an award winning Orthopedic program and the opening of the Sisters Metabolic Center for Wellness, a first of its kind comprehensive care center in WNY. To date, we have invested over $22 million in the campuses and services that we provide. Our ten year anniversary has given me a chance to reflect both personally and professionally on the progress we have made together. I am proud of the work that is performed each day at both of our campuses and am excited and optimistic about what our future holds. 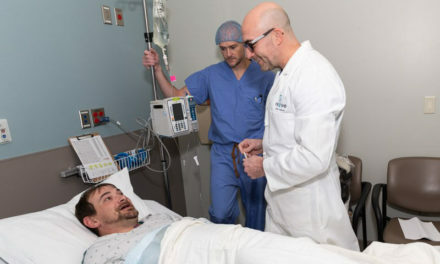 We’ve truly created something special, bringing two hospitals together with the same shared goal – providing the highest-quality, safest patient care for the communities that we serve. In closing, I would like to thank the leadership team, staff and physicians that made this merger a success and ten years later, there is no doubt in my mind – together we are most definitely stronger.